Blessed Mother of those whose names you can read in my heart, watch over them with every care. Make their way easy and their labors fruitful. Dry their tears if they weep; sanctify their joys; raise their courage if they weaken; restore their hope if they lose heart, their health if they be ill, truth if they err, and repentance if they fall. Amen. Rule me, O King of Gentleness, King of Peace. not to be able to succeed at it. 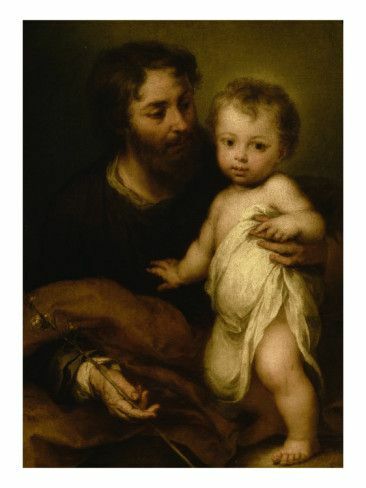 With childlike confidence I present myself before you, O holy Joseph, faithful foster father of Jesus! I beg your compassionate intercession and support in this, my present necessity. . . I firmly believe that you are most powerful near the throne of God, who chose you for the foster father of His well-beloved son, Jesus Christ. O blessed Saint, who saved that treasure of heaven, with His virginal mother, from the fury of His enemies, who with untiring industry supplied His earthly wants and with paternal care accompanied and protected Him in all the journeys of His childhood, take me also, for the love of Jesus, as your child. Assist me in my present difficulty with your prayers before God. The infinite goodness of Our Savior, who loved and honored you as His father upon earth, cannot refuse you any request now in heaven. How many pious souls have sought help from you in their needs and have experienced, to their joy, how good, how ready you are to assist. How quickly you turn to those who call upon you with confidence! How powerful you are in bringing help and restoring joy to anxious and dejected hearts! Therefore, do I fly to you, O most worthy father of Jesus, most chaste spouse of Mary! Good St. Joseph, I pray you by the burning love you had for Jesus and Mary upon earth, console me in my distress and present my petition, through Jesus and Mary, before the throne of God! One word from you will move Him to assist my afflicted soul. Then most joyfully shall I praise Him and you, and most earnest shall be my thanksgiving! 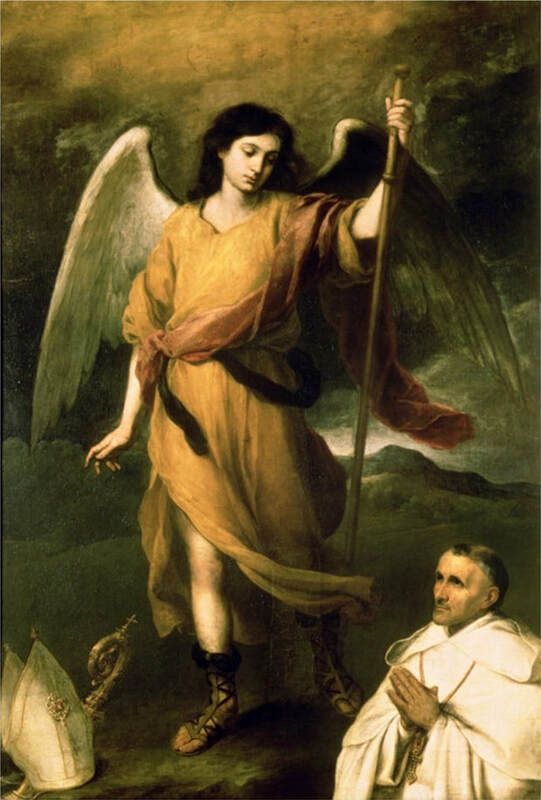 ​O Raphael, lead us toward those we are waiting for, those who are waiting for us: Raphael, Angel of happy meeting, lead us by the hand toward those we are looking for. May all our movements be guided by your Light and transfigured with your joy. Angel, guide of Tobias, lay the request we now address to you at the feet of Him on whose unveiled Face you are privileged to gaze. Lonely and tired, crushed by the separations and sorrows of life, we feel the need of calling you and of pleading for the protection of your wings, so that we may not be as strangers in the province of joy, all ignorant of the concerns of our country. Remember the weak, you who are strong, you whose home lies beyond the region of thunder, in a land that is always peaceful, always serene and bright with the resplendent glory of God.